Doc’s Clock sign unveiled at the bar’s new location, Sept. 18, 2018. Photo by Abraham Rodriguez. 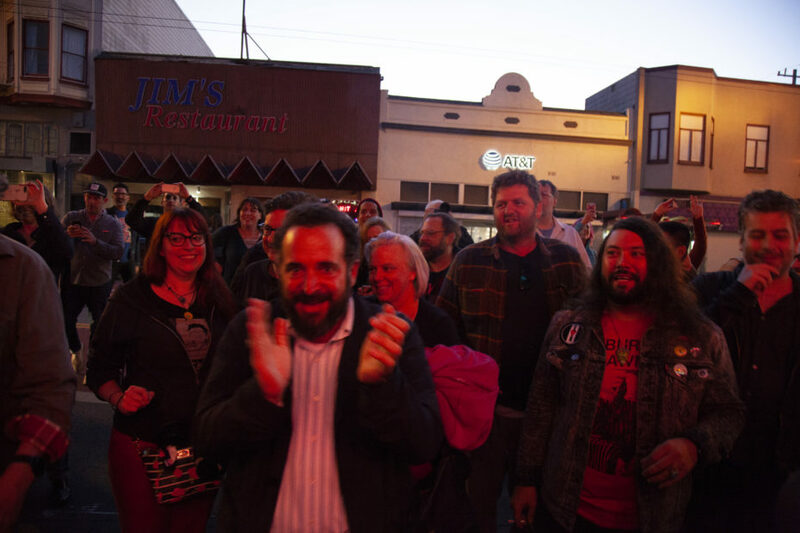 The troublesome saga of Doc’s Clock relocation drew to a cheerful end Tuesday evening as crowds gathered inside, outside and even on the street to witness the return of the dive bar’s neon sign. The bar hired contractors to bring the neon sign back from its original location and mount it up again. All said, it took a couple of hours — but what took a long time was getting the right permits, said bar patron and contractor Roman Hunt. Carey Suckow, the bar’s owner, said that getting the sign moved to their new home was a drawn-out process. The sign was located and attached to a building owned by their old landlord, but the name of the business belonged to to bar. Suckow said the bar had obtained legacy-business status in the city, and that the new status helped them purchase the sign, but they still needed to raise enough money to buy it and get it installed. 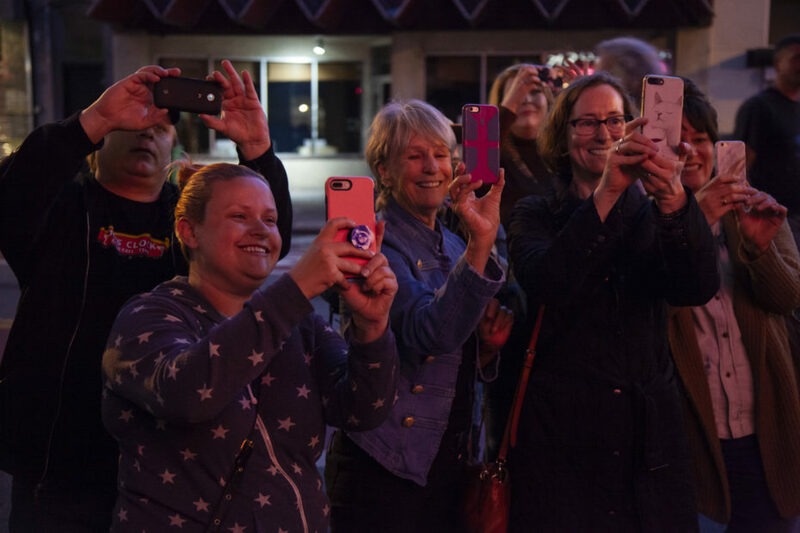 As dusk approached, patrons of Doc’s Clock emptied out onto the sidewalk to watch the moment it lit up. As dusk approached, a countdown started and, at the count of zero, the signs turned on once again. 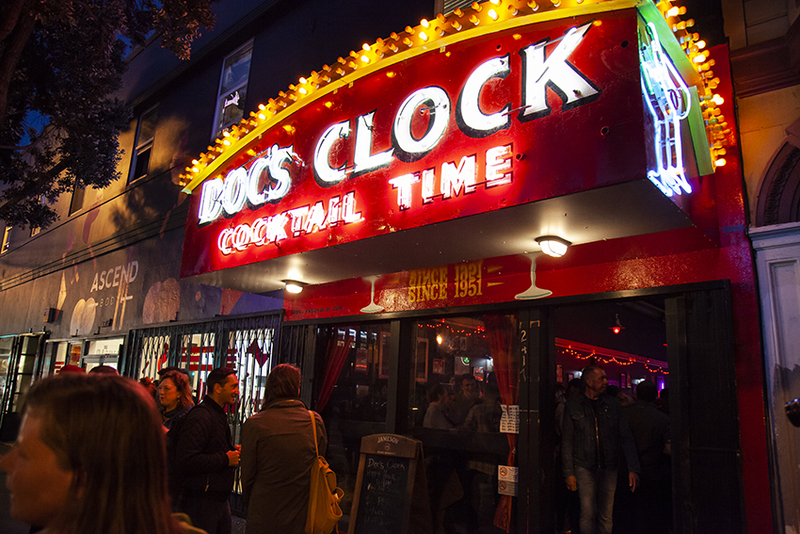 Doc’s Clock sign lights up once again from Mission Local on Vimeo. Like a new year celebration, people hugged, cried and applauded. A brief but party-like atmosphere descended on the sidewalk before patrons went back inside and toasted with freshly opened champagne bottles. “This is the final moment. I feel like we’re done. We’ve done the impossible,” she said. Vaughn Bang lives near Doc’s Clock, and said the bar has always been a central fixture of the Mission and a real hub for the working class, but never had a problem with them next door. “The only thing I missed was the sign, but now that’s back,” Bang said. Crowds cheer as the famous Doc’s Clock sign turns on once more. Photo by Abraham Rodriguez. Onlookers recording the moment from the street. Photo by Abraham Rodriguez. 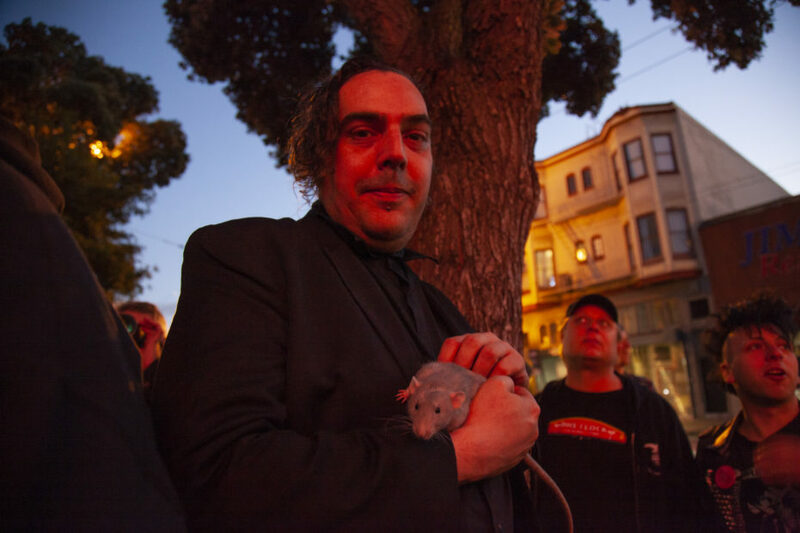 Vaughn Bang holding his pet rat, Eros. Photo by Abraham Rodriguez.